What started off as a concept back in 2014 has now become a standard feature among Samsung’s flagship smartphones. But, according to a new patent, the company’s curved-edge displays could soon become mainstream. Filed over a year ago and granted last week, the patent describes an LCD technology that essentially replaces the usual glass backing with a plastic solution. This means that the panel can be bent during the manufacturing process without any problems. Additionally, it reduces the fragility of the display, thus making it that bit harder to break. Presumably, a variant of this technology could be used on cheaper foldable devices in the future. However, for now, it seems Samsung is concentrating on pre-curved panels that can’t be flexed by the user, just like the displays seen on recent Galaxy S and Galaxy Note smartphones. At the moment, Samsung appears to have no immediate plans to implement curved edge LCD displays on its smartphones. After all, the cheaper Galaxy S10 Lite would be a prime candidate for the panels but is ultimately sticking to a more traditional flat display. However, such a move in the future wouldn't be surprising. A few months back, the South Korean giant announced plans to begin blurring the line between its mid-range and high-end models by offering flagship features at lower price points. And if the company can successfully implement its curved displays on cheaper models, it’d certainly be a differentiating feature. LCD displays are good in my eyes...Samsung might have good idea. I like a lot of things about Samsung right now, but curved screens are the entire reason I've refused to buy an S8 or S9. We'll see how the S10 goes, but if they don't smarten up on that one, somebody else is going to be the replacement for my S7. Smart move. 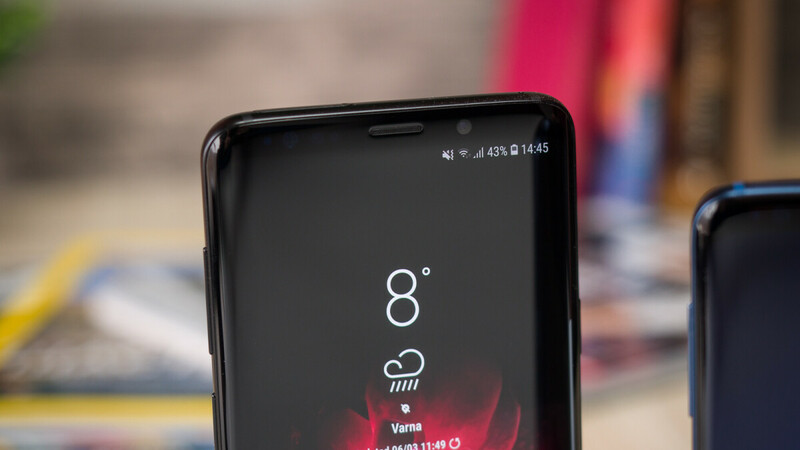 Give the midrange the same look of the S8 n S9 sense it'll be discontinued but an LCD to keep the prices down, that way they'll have an edge over their competition. Looks only deceive the illiterate. Drop the price of the S9 by $250 and the S9+ by $300 and you'll have the "perfect mid range" phones. And they would still have more features then the uphone. Because it's hard to use a Zagg? Even the 9H ones will stay on a long time if you out them on right. I managed to go a whole year with one on my Note 8. I sold it with it still on. Liar spotted. You never owned s9+. No one buys s9+ if they can't stand the curve. What's up with the curved edge display? If you look at as the ohone having bezels and stop where bezels would be you will have no problems. I wonder what this will do to the cost of LCD replacement screens as cost stay low when used screens can be refurbished and curved glass screens will be nearly impossible to refurbish or have extremely low yields creating shortages in supply and higher costs.